The University of Minnesota College of Veterinary Medicine provides a variety of services, specialties, and resources to care for your horse. 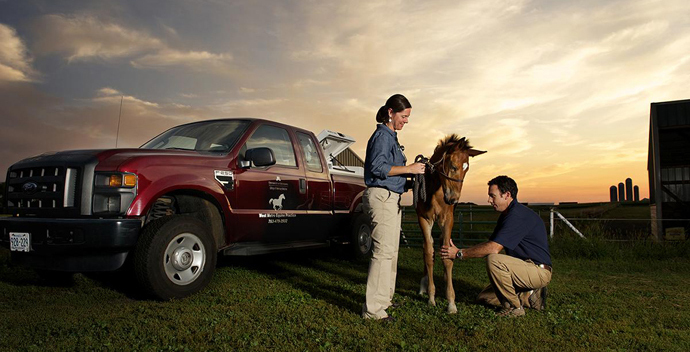 With an equine clinic and diagnostic services in St. Paul and ambulatory care in the west metro, we are here to help. Contact us to diagnose a problem, attend an event or class, and receive care for your horse. 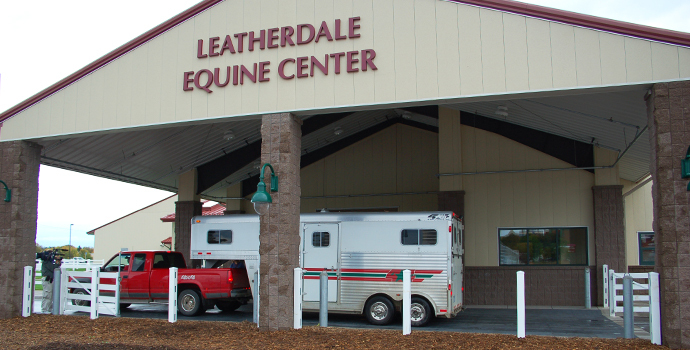 Located within the Leatherdale Equine Center in St. Paul, we provide the region's most comprehensive, cutting-edge, compassionate care for your horse athlete. The clinic is home to state-of-the-art diagnostic tools and specialists in orthopedics, respiratory disease, surgery, and rehabilitation. We provide experienced equine clinicians for general ambulatory care in the Maple Plain area. Our team of experienced equine clinicians is supported by veterinary specialists, and we have access to advanced imaging and treatment options. We provide clinical services for horses through the Piper Equine Clinic, housed at our facility. We also provide cutting-edge research, equine veterinary education, and classes and community events. Our research group uses advanced genetic and genomic technologies to improve our understanding of equine health and biology. We provide the most accurate diagnosis and optimal treatment of muscle disorders in horses. We offer genetic and muscle biopsy testing for a variety of diseases.